Using the microbit as a high tech flip book, art:bit is an app that helps the user create imaginative LED animations. Designed primarily to help young students learn the basics of programming and animation, art:bit uses a block based programming language that’s based on Scratch. 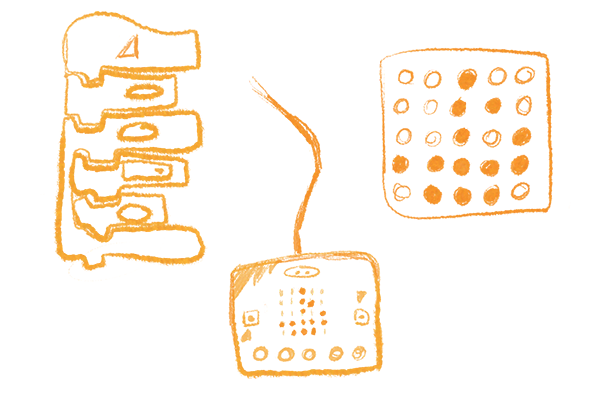 The user can create virtually any kind of animation using these blocks and the in-app editor that allows them to create various shapes with the LEDS. Art:bit was developed in collaboration with Kids Code Jeunesse (KCJ) and is currently available as a Chrome OS app with an iOS app to follow in 2018. You can find more information about the art:bit on the KCJ website.